Warner Bros. Home Entertainment has selected Nov. 17 as the street date for director Guy Ritchie’s reimaging of the popular Cold War television series, The Man from U.N.C.L.E. Henry Cavill (Man of Steel, The Tudors, etc.) 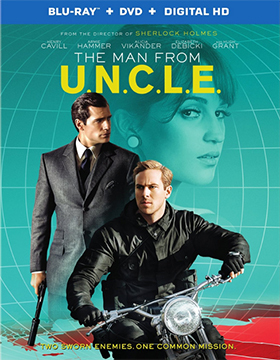 is teamed with Armie Hammer (Mirror Mirror) as iconic spies Napoleon Solo and Illya Kuryakin. Available for consumers to select from will be DVD and Blu-ray/DVD Combo Pack editions. The television series, made famous by Robert Vaughn and David McCallum —US and Soviet spies teamed to battle T.H.R.U.S.H. — was clearly a product of the Cold War (on television from 1964 through early 1968 — a total of 105 episodes). But the series was also well-timed in that the James Bond/007 series of films (Dr. No in 1962; From Russian with Love the following year; Goldfinger arrived in 1964; and, Thunderball followed in 1965) had caught fire theatrically (Ian Fleming was involved in both). The demand was there! Just as The Man from U.N.C.L.E. reached its zenith along came Mission: Impossible and that was it for Robert Vaughn and David McCallum. M:I was a better action series and didn’t carry the baggage of the “U.N.” The organization that Solo and Kuryakin worked for didn’t actually have anything to do with the United Nations, but perception is reality. Tom Cruise has made — through a series of very smart moves — the theatrical releases of Mission: Impossible a monster film franchise. Sadly, lightning did strike twice with this re-boot. The Man from U.N.C.L.E. only pulled in $45.4 million in domestic ticket sales, so this potential film franchise is probably DOA. For the record, the ARR is 95 days. Exclusive to the Blu-ray edition are five additional featurettes. Midnight Releasing announced its first film selection for release on DVD during 2016 this past week. 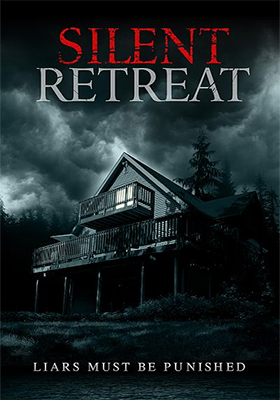 Debuting on Jan. 12 will be writer/director Ace Jordan’s backwoods chiller, Silent Retreat. You likely know all about those “bonding” experiences, the ones where some group of co-workers goes off on a weekend retreat to work on their team-building skills. It usually works out to be an exercise in all of that touchy-feely nonsense that rarely achieves much of anything. But people do have a good time, except when there’s a cabin in woods and one, by one, by one … they die! Filmmaker Ace Jordan uses the standard clichés of a “victim pool” (the half-dozen company members) and the obligatory remote cabin in the woods (film nicely in and around Big Bear Lake in California) to set up his film, but cleverly uses misdirection to keep us off-balance. All the elements are lined up for your standard horror “slasher” flick, but he keeps throwing curve balls and change ups … and that makes Silent Retreat one sweet ride. Bonus nuggets include commentary from filmmaker Ace Jordan, newly prepared video sessions with the cast and crew and a slideshow gallery. Here’s a challenge for you. Before the Christmas holiday season gets into full swing and parking is at a premium, go out shopping with a “possible list” of things that you might buy as gifts this year and see if you can fill that list without buying items made in China. 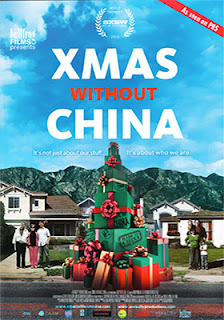 That’s premise behind documentary filmmaker Alicia Dwyer’s Xmas Without China, which is on its way to DVD from Icarus Films on Dec. 8 (just in time for Christmas). Tom Xia was born China, but immigrated to the United States with his family. He still has the cultural ties, but has integrated fairly well into the Southern California lifestyle. His gives his neighbors (filmed in and around Arcadia) a challenge, to shop for Christmas without buying products “Made in China.” His neighbors, Evelyn and Tim, accept the challenge … and away we go. But it goes beyond that, the couple remove all of their “Made in China” purchases (accumulated over the years) and start afresh to complete the task. As with most “journeys,” it is the getting there and not the final destination that proves to be the most interesting. It was a dance of PR perfection. You have to marvel how Universal Pictures Home Entertainment expertly crafted a three-week series of summer theatrical releases announcements that were destined for the home entertainment market place. Sure enough, last week the directing team of Kyle Balda and Pierre Coffin’s Minions received a three-SKU (DVD and two Blu-ray/DVD Combo Packs — one with, one without a 3D viewing option) launch date of Dec. 8. 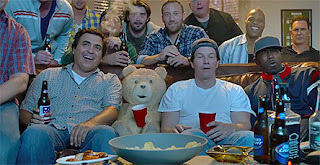 The trifecta was completed this week with the announcement of DVD and Blu-ray/DVD Combo Pack editions of Seth MacFarlane’s Ted 2, which has been given a Dec. 15 release date. This suggests that Universal will be holding onto director F. Gary Gray’s Straight Outta Compton until Q1 of 2016. Ted 2, teaming Mark Wahlberg once again with his wise-cracking stuffed bear, Ted (voiced by MacFarlane), arrives with a leisurely ARR of 172 days. With a gap that long between a major studio theatrical release date and its subsequent move to home entertainment, it would appear that Universal (and this is just speculation) decided early on to position this laugh-out-loud comedy for release during the lucrative Christmas holiday promotional period. Ticket sales came in at $81.3 million — the original Ted (released during Christmas of 2011) pulled in $218.6 million, so this has to be something of a disappointment. Still over $80 million is nothing to sneeze at. Walt Disney Home Entertainment continues its endemic struggles with the promotion of the studio’s new theatrical releases making the transition from their theatrical runs to the home entertainment market place. 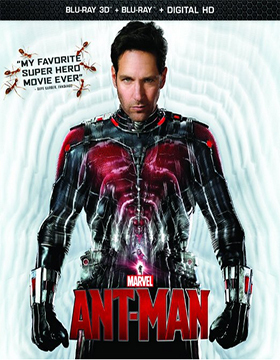 The latest ho-hum stab at what passes for publicity and promotion at Disney these days came this past week with the “and, oh, by the way, Ant-Man will be available on Dec. 8” announcement. When a film pulls in $178.6 million in ticket sales in the domestic market — and over $400 million worldwide — that’s blockbuster status. That deserves more than a “by the way” effort. For the record, the ARR for this December release date works out to 144 days. 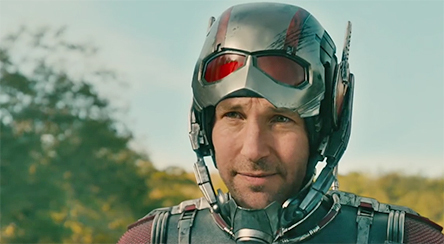 There is a certain irony in selecting prime Christmas holiday-selling season chunk of real estate as the street date for Ant-Man. It is also the same day that Universal Studios Home Entertainment has tabbed for the arrival of Minions … and they’ve been out hustling that film franchise for several weeks now. Lessons could be learned! Planned are three SKUs. There will be a stand-alone DVD edition and two Blu-ray selections — one with and one without a 3D viewing option (the premium is seven bucks). The Criterion Collection announced its New Year’s slate of new Blu-ray and DVD film restorations for delivery during January of 2016 this past week. 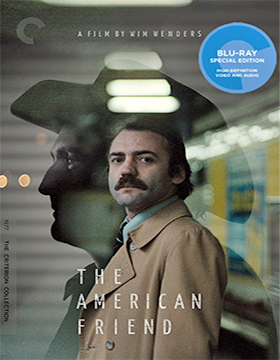 Topping the list — and that isalways a subjective statement when it comes to Criterion’s monthly new announcements — is German New Wave auteur Wim Wenders’ 1977 film gem, The American Friend, starring the late Dennis Hopper as the go-to guy when murder is afoot. The street date for Blu-ray and DVD editions will be Jan. 12. You know The American Friend was special — even though Wim Wenders was pretty much an unknown — when the likes of auteurists such as Samuel Fuller and Nicholas Ray join in on the fun with cameo appearances. This new 4K restoration was supervised by Wim Wenders (Oscar-nominated for The Salt of the Earth, Pina and Buena Vista Social Club … all in the Best Documentary category) and features as its bonus goodies a vintage commentary track with Wenders and Dennis Hopper (circa 2002), newly prepared video sessions with Wenders and Hopper’s co-star, Bruno Ganz and deleted scenes (with commentary by Wenders). Also streeting on Jan. 12 is the Blu-ray restoration of Italian director Giuseppe De Santis’ 1949 Oscar-nominated Best Writing film release of Bitter Rice, starring Doris Dowling, Silvana Mangano, Raf Vallone and the doomed hustler, Walter, played to perfection by Vittorio Gassman. Bonus nuggets includes director Carlo Lizzani’s 2008 feature-length documentary titled Giuseppe de Santis and 2003 video session with filmmaker Giuseppe De Santis. 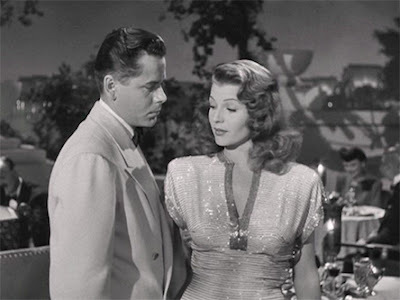 Jan. 19 brings to market DVD and Blu-ray editions of both the Coen Brothers’ Inside Llewyn Davis and director Charles Vidor’s 1946 film noir treat, Gilda, starring Rita Hayworth in the title role, with George Macready and Glenn Ford as the men in her life. Murder, betrayal and double-dealings with Nazis (it is post-war Argentina after all) on the run are all apart of this South American tale of lust and violence. Lastly, Jan. 5 will be the street date for The Complete Lady Snowblood, a two film collection featuring Japanese filmmaker Toshiya Fujita’s Lady Snowblood and the sequel, Lady Snowblood: Love Song of Vengeance, starring Meiko Kaji as the child raised for one purpose … revenge! 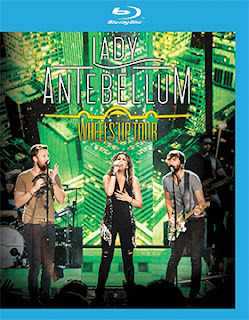 Lady Antebellum arrived at the Irvine Meadows Amphitheatre on June 27 this year (as part of the Wheels Up 2015 Tour) and Eagle Rock Entertainment was waiting there with a crew to record the 20-song set (complete with special guest star Hunter Hayes). Both DVD and Blu-ray editions of Lady Antebellum: Wheels Up Tour will be available for fans to savor again and again on Friday, Nov. 13.